Pun Pun and Shoot OG release is here! 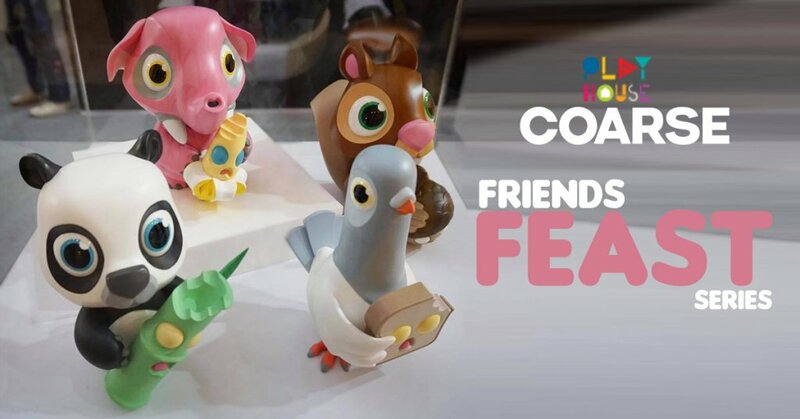 many of you have been left wondering what’s happening with the alternative colourway to Play House x COARSE “Pun Pun and Shoot that was shown at Thailand Toy Expo and BTS? The retail release is HERE! and for the folks heading to Dcon you’ll be able to pick them up directly. The days were long and lonely at the zoo where Pun Pun lived. Sometimes he played games with the other pandas, though mostly he sat by himself in the corner, dreaming of a better life. But then one day the zookeepers planted bamboo, and Shoot came into Pun Pun’s Arm. Pun Pun loved Shoot, and Shoot loved Pun Pun, too. Shoot thought, I finally have a friend! Pun Pun thought, I finally have food! This is the story of a love that has gone too far.